The Passover Controversy by Daniel Gruber. ambassadors whom Yeshua appointed is the Passover controversy." controversy. It was settled at the Council of Nicea. To this day, almost all the Church follows the clearly erroneous decree which came forth from that council. There were two main issues for the Council of Nicea. The first concerned the heretical writings of Arius and his followers. Constantine had united the Empire. Now he intended to deliver “the Church” as well from "internal sedition." Unity was the order of the day. 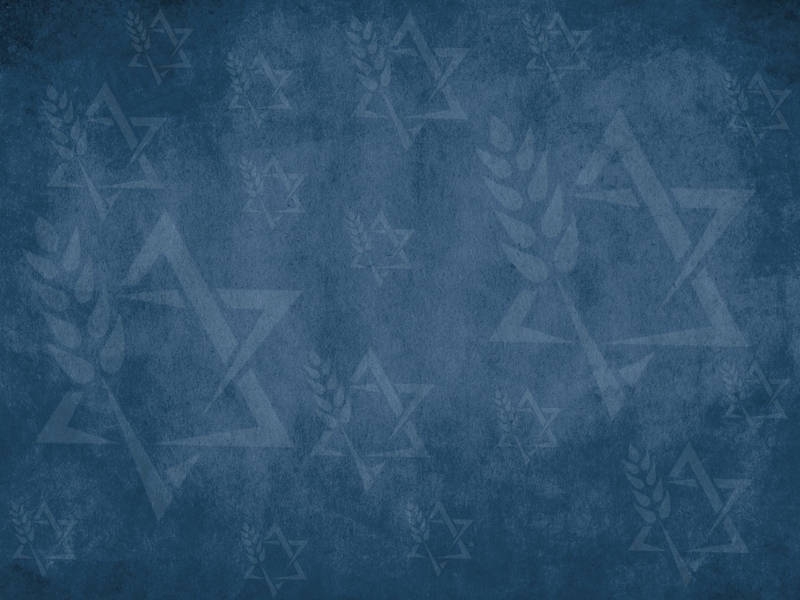 How did the Passover controversy arise? Yeshua had observed Passover on the fourteenth of Nisan because that is its Biblical date. He observed all the Levitical holy days on the days which God had decreed and for which He designed them to be observed. The ambassadors of the Lord and his first-century followers did much the same. 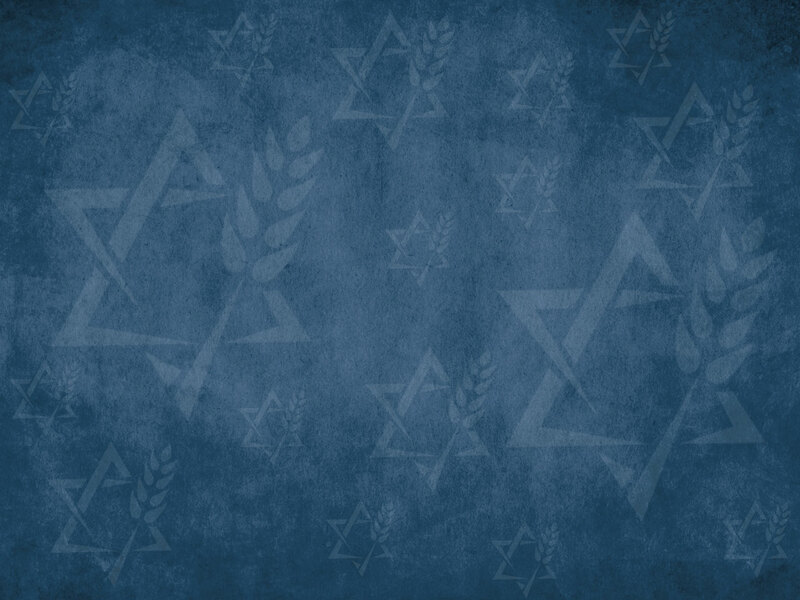 "At first the Christian Passover was celebrated at the same time as the Jewish, this simultaneous observance was preserving the Jewish ritual in the Christian festival, and strengthening the bonds between Christianity and Judaism. The date must be changed. In some quarters the Church attempted to restrict the celebration to a single day, 14 Nisan; elsewhere - and this became the prevailing custom - she made Holy Week the week in which fell 14 Nisan (the day when the Jewish feast began), and removed the festival, which had already changed its character, to the Sunday following Holy Week. In all these cases there was dependance [sic] on the Jewish calendar, a 'humiliating subjection' to the Synagogue which irked the Church. Sometime in the second century, some of the congregations in the west, among the Gentiles, began to celebrate Passover/Easter so that their commemoration of the Lord's resurrection would always take place on a Sunday regardless of the Biblical calendar. Towards the end of the second century, these western congregations, led by the bishops of Rome, Caesarea, and Jerusalem (where there were no longer Jewish “bishops”), began to agitate for all the congregations to keep the Passover on their fixed Sunday, rather than on the fourteenth of Nisan. They also were accustomed to using the Roman calendar, rather than the Biblical calendar. "The bishops, however, of Asia, persevering in observing the custom handed down to them from their fathers, were headed by Polycrates. He, indeed, had also set forth the tradition handed down to them, in a letter which he addressed to Victor and the church of Rome.
" 'We,' said he, 'therefore, observe the genuine day; neither adding thereto nor taking therefrom. For in Asia great lights have fallen asleep, which shall rise again in the day of the Lord's appearing, in which he will come with glory from heaven, and will raise up all the saints; Philip, one of the twelve apostles, who sleeps in Hierapolis, and his two aged virgin daughters. His other daughter, also, who having lived under the influence of the Holy Ghost, now likewise rests in Ephesus. Moreover, John, who rested upon the bosom of our Lord; who also was a priest, and bore the sacerdotal plate, both a martyr and teacher. He is buried in Ephesus; also Polycarp of Smyrna, both bishop and martyr. Thraseas, also, bishop and martyr of Eumenia, who is buried at Smyrna. Why should I mention . . . .
" 'All these observed the fourteenth day of the passover according to the gospel, deviating in no respect, but following the rule of faith. Moreover, I, Polycrates, who am the least of all of you, according to the tradition of my relatives, some of whom I have followed. For there were seven, my relatives bishops, and I am the eighth; and my relatives always observed the day when the people (i.e. the Jews) threw away the leaven. I, therefore, brethren, am now sixty-five years in the Lord, who having conferred with the brethren throughout the world, and having studied the whole of the sacred Scriptures, am not at all alarmed at those things with which I am threatened, to intimidate me. For they who are greater than I, have said, We ought to obey God rather than men. There were others, like Irenaeus, who "with much severity" exhorted Victor to withdraw his decree. About 180 C. E., Irenaeus wrote a book Against Heresies, to safeguard the faith delivered by the ambassadors. It became a standard for judging different teachings. Apparently Victor withdrew his decree, but the controversy was not resolved. It was merely muted for a time. The church at Rome continued to press for its own supremacy. Jerusalem had already been physically destroyed, but it still had to be destroyed as a spiritual competitor. The issue, in a slightly altered form, was settled by the Council of Nicea in 325 C.E. There it was decided that all the “churches” should celebrate the Passover, or actually Easter, on the ecclesiastically chosen Sunday rather than the Biblical date. All the “churches” were thus informed. The Emperor Constantine sent his personal exhortation to all the “churches” concerning the decision of the Council. What the Emperor said had great weight. After all, Constantine was the one who had ended the persecution. He was the founder of the holy Roman Empire. He openly, personally professed the “Christian” faith. He had convened the council. The “churches,” therefore, were more than willing to hear whatever he had to say to them. What he had to say to them is a clear presentation of the sentiment and theology that ruled in the Council of Nicea. It expresses what then became the nearly universal sentiment and theology of the Church. So, though the letter is long, it is well worthwhile to look at the complete text of the Emperor's personal exhortation to all the congregations. It was a major force in establishing the nature of the Church, which had a great impact on subsequent Western and world history. There are some very significant elements in it. "Constantine, august, to the Churches. "Having experienced, in the flourishing state of public affairs, the greatness of the divine goodness I thought it especially incumbent on me to endeavor that the happy multitudes of the Catholic [i.e. universal] Church should preserve one faith, be united in unfeigned love, and harmoniously join in their devotions to Almighty God. But this could not otherwise be effected in a firm and solid manner, than by an examination, for this purpose, of whatever pertains to our most holy religion, by all the bishops, or the greater part of them at least, assembled together. Having therefore convened as many as possible, I myself being present, and, as it were, one of you, (nor do I deny that I exceedingly rejoice in being your fellow-servant,) every thing was examined, until a unanimous sentiment, pleasing to God, who sees all things, was brought to light; so that no pretence was left for dissension or controversy respecting the faith. "When the question arose concerning the most holy day of Easter, it was decreed by common consent to be expedient, that this festival should be celebrated on the same day by all, in every place. For what can be more beautiful, what more venerable and becoming, than that this festival, from which we receive the hope of immortality, should be suitably observed by all in one and the same order, and by a certain rule. And truly, in the first place, it seemed to every one a most unworthy thing that we should follow the custom of the Jews in the celebration of this most holy solemnity, who, polluted wretches! having stained their hands with a nefarious crime, are justly blinded in their minds. "It is fit, therefore, that, rejecting the practice of this people, we should perpetuate to all future ages the celebration of this rite, in a more legitimate order, which we have kept from the first day of our Lord's passion even to the present times. Let us then have nothing in common with the most hostile rabble of the Jews. We have received another method from the Saviour. A more lawful and proper course is open to our most holy religion. In pursuing this course with a unanimous consent, let us withdraw ourselves, my much honored brethren, from that most odious fellowship. "It is indeed in the highest degree preposterous, that they should superciliously vaunt themselves, that truly without their instruction, we cannot properly observe this rite. For what can they rightly understand, who, after the tragical death of our Lord, being deluded and darkened in their minds, are carried away by an unrestrained impulse wherever their inborn madness may impel them. Hence therefore it is, that, even in this particular, they do not perceive the truth, so that continually wandering in the grossest error, instead of duly reforming their calculation, they commemorate the passover twice in the same [Roman] year. Why then should we follow those who are acknowledged to labor under a grievous error? for we will never tolerate the keeping of a double passover in one year. "But if what I have said should not be thought sufficient, it belongs to your ready discernment, both by diligence and prayer, to use every means, that the purity of your minds may not be affected by a conformity in any thing with the customs of the vilest of mankind. Besides, it should be considered that any dissension in a business of such importance, and in a religious institution of so great solemnity, would be highly criminal. For the Saviour has bequeathed us one festal day of our liberation, that is, the day of his most holy passion; and it was his pleasure that his Church should be one; the members of which, although dispersed in many and various places, are yet nourished by the same spirit, that is by the will of God. "Let the sagacity of your holiness only consider, how painful and indecorous it must be, for some to be experiencing the rigors of abstinence, and others to be unbending their minds in convivial enjoyment on the same day; and after Easter, for some to be indulging in feasting and relaxation, while others are occupied in the observance of the prescribed fasts. Wherefore, that a suitable reformation should take place in this respect, and that one rule should be followed, is the will of divine providence, as all, I think, must perceive. "As it is necessary that this fault should be so amended that we may have nothing in common with the usage of these parricides and murderers of our Lord; and as that order is most convenient which is observed by all the churches of the West, as well as those of the southern and northern parts of the world, and also by some in the East, it was judged therefore to be most equitable and proper, and I pledged myself that this arrangement should meet your approbation, viz. that the custom which prevails with one consent in the city of Rome, and throughout all Italy, Africa and Egypt, in Spain, Gaul, Britain, Lybia, the whole of Greece, the diocese of Asia, Pontus and Cilicia, would be gladly embraced by your prudence, considering that not only the greatest number of churches exist in the places which have been already mentioned, but also that it is most religious and equitable that all should wish what the strictest reason seems to require, and to have no fellowship with the perjury of the Jews. "And, to sum up the whole in a few words, it was agreeable to the common judgment of all, that the most holy feast of Easter should be celebrated on one and the same day. Nor is it becoming, that in so sacred an observance there should be any diversity; and it is better to follow that decision, in which all participation in the sin and error of others is avoided. "This being the case, receive with cheerfulness the heavenly and truly divine command. For whatever is transacted in the holy councils of the bishops, is to be referred to the divine will. Wherefore, having announced to our beloved brethren what has been already written, it is your duty to receive and establish the arguments already stated, and the observance of the most holy day; that when I shall come into your beloved presence, so long desired by me, I may be able to celebrate, with you, on one and the same day, the holy festival, and that in all things I may rejoice with you; seeing that the cruelty of the devil is taken away by divine power, through my instrumentality, and that your faith, your peace and concord is everywhere flourishing. In this letter, Constantine officially established an anti-Judaic foundation for the doctrine and practice of the Church, and declared that contempt for the Jews, and separation from them, is the only proper Christian attitude. ". . . it seemed to every one a most unworthy thing that we should follow the custom of the Jews in the celebration of this most holy solemnity, who, polluted wretches! having stained their hands with a nefarious crime, are justly blinded in their minds. 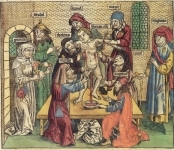 It is fit, therefore, that, rejecting the practice of this people, we should perpetuate to all future ages the celebration of this rite, in a more legitimate order. . . . Let us then have nothing in common with the most hostile rabble of the Jews . . . .
"In pursuing this course with a unanimous consent, let us withdraw ourselves . . . from that most odious fellowship. "Why then should we follow those who are acknowledged to labor under a grievous error? . . . . But if what I have said should not be thought sufficient, it belongs to your ready discernment, both by diligence and prayer, that the purity of your minds may not be affected by a conformity in any thing with the customs of the vilest of mankind . . . .
"As it is necessary that this fault should be so amended that we may have nothing in common with the usage of these parricides and murderers of our Lord . . . .
"it is most religious and equitable that all should wish what the strictest reason seems to require, and to have no fellowship with the perjury of the Jews . . . . "
Constantine attributed this anti-Judaic foundation to Jesus — "We have received another method from the Saviour. A more lawful and proper course is open to our most holy religion." — and commands, with all the authority of the Emperor, that all those who follow the Savior accept and promote such attitudes, doctrine, and practice, since whatever the bishops decide in council is the will of God. He threatens that any dissent from these views must be considered highly criminal. ". . . every thing was examined, until a unanimous sentiment, pleasing to God, who sees all things, was brought to light; so that no pretence was left for dissension or controversy respecting the faith . . . .
". . . . Besides, it should be considered that any dissension in a business of such importance, and in a religious institution of so great solemnity, would be highly criminal. ". . . and as that order is most convenient which is observed by all the churches of the West . . . receive with cheerfulness the heavenly and truly divine command. For whatever is transacted in the holy councils of the bishops, is to be referred to the divine will. "Wherefore, having announced to our beloved brethren what has been already written, it is your duty to receive and establish the arguments already stated, and the observance of the most holy day; that when I shall come into your beloved presence, so long desired by me, I may be able to celebrate, with you, on one and the same day, the holy festival, and that in all things I may rejoice with you; seeing that the cruelty of the devil is taken away by divine power, through my instrumentality . . . . "
All of this was written so that no Christian would celebrate Passover on the Biblically ordained day of the 14th of Nisan. (Eusebius apparently provided the new calendar for determining the day to be celebrated.) This is not an insignificant letter. The most revealing question to ask is, "When did God give Constantine such authority to define the Church?" It is a question that was not really articulated at that time nor in most of the seventeen centuries since. The relationship of Church and State which began under Constantine was seen by many as a great blessing of God. There was an end to what had seemed like endless persecution. But with that end of persecution and the beginning of a new alliance came great compromises which removed “the Church” from its foundation and have distorted its nature to this day. At the conclusion of the Council of Nicea, Constantine held a banquet which vividly demonstrated what had happened to the Church of the One despised and rejected of men. At the banquet, Eusebius greatly praised the Emperor before the assembled leaders of the Church. Eusebius is somewhat misleading. It is true that some of the Church leaders were brought into close relationship to the emperor, his private apartments, and his table — in time, such privileges became a measure of religious success — but it is highly doubtful that all the men of God walked through the circle of guards and soldiers without fear. The emperor intended the drawn swords to teach a lesson. In fact, Eusebius was more than misleading on issues related to the emperor or to the Jews. On the Passover controversy, the Council of Nicea had chosen an anti-Biblical course and demanded conformity to it. The swords were a way of indicating the necessity of conforming to the official decree. In convening the council, Constantine had already declared that whoever would disturb the unity of the Church was a "malignant foe" motivated by a "malevolent demon," exposing God's law to "slander and detraction." He had already declared that, "an internal sedition in the Church is, in my apprehension, more dangerous and formidable than any war, in which I can be engaged . . . and hoping that by my interference, a remedy might be applied to the evil, I sent for you all, without delay." Constantine had achieved political victory, professing it to be in the name of the Lord, by the sword. He was not about to trade in his weapons. He intended to use what had brought him victory in the Empire to achieve victory in the Church. From that point on, Church doctrine was to be enforced by the sword of the State. Those who would not conform were to be exiled or put to death. The books of heretics — those who taught what was contrary to the accepted teaching — were to be burned and exterminated from the earth. After all, as Constantine had written, "no pretence was left for dissension or controversy respecting the faith." The “Church” ceased to be the community of Yeshua, and became the consort of Constantine. It was no longer the bride of Messiah. It had become the bride of Caesar. The light within turned to darkness. Instead of being a means of salvation, the Church became a means of destruction. It poisoned the waters of eternal life, turning them into an everflowing fountain of death. Through the centuries, the Constantinian Church has sought and brought the death of millions and millions of people throughout the world. Many of them have been Jewish. Yeshua had warned His followers, The kings of the Gentiles lord it over them; and those who have authority over them are called 'Benefactors.' But not so with you, but let him who is the greatest among you become as the youngest, and the leader as the servant (Lk. 22:25-26). Constantine presented himself as the Benefactor of the Church, having ended the persecution, and therefore expected the Church to conform to his will. The prophetic voice of the Lord vis-a-vis the State was silenced, and, instead, a hierarchical structure was imposed upon the Church. That Constantine should reign over the earth for God was seen as a high spiritual truth. That Yeshua, the King of kings, should reign over all the earth from Jerusalem was derided as carnal and unspiritual. Under Constantine, Eusebius wrote a history of the Church that pointedly eliminated any positive reference to the restoration of Israel and the earthly reign of Jesus. The only place that remained for the Jews in the plan and purpose of God was to serve as the earthly, temporal representation of the eternal misery and condemnation that awaited all who were outside the Church. The Church was now officially Contra Judaeos and Adversus Judaeos - set against and set in opposition to the Jews. Thus was established the anti-Judaic foundation on which both doctrine and practice were then built. The historical and theological eradication of the Jews prepared the way for the "lawful" attempts to physically eradicate them. The "holy councils" to which Constantine referred produced a new "divine will." The Church itself replaced the power of God with the might of the Roman Empire. The Church became its own kingdom. The Church, which had been persecuted for so long by "the cruelty of the devil," was soon to become the persecutor. At that time, it seems that there was no one to contest such a decision in the Holy Roman Empire. Gone were the days of the prophets and apostles. Gone were men like Polycarp and Polycrates, who were willing to tell the religious authorities in the Church, as Peter and John had told the religious authorities in the Sanhedrin, We must obey God, rather than men. It is remarkable that this change was made over such a clear, but seemingly insignificant issue as when Passover should be celebrated. The Bible sets the date for Passover as the fourteenth of Nisan. That is when Yeshua celebrated the Passover. His ambassadors and followers did the same. Paul, who was Yeshua’s ambassador to the Gentiles, observed the Biblical dates. The book of Acts records, simply in passing, that Passover (Acts 20:7), Shavuos/Pentecost (Acts 20:16), and Yom Kippur/the Day of Atonement (Acts 27:9) were fixed, significant dates for Paul. The community built by the ambassadors knew when Passover was. From the Council of Nicea on, the Church over which Constantine presided would no longer observe the Biblical date, because it was too Jewish. The Bible itself was too Jewish. The doctrines of men, on the other hand, could be whatever men wanted them to be. As a final note on the Council of Nicea, Canon VII speaks of the Bishop of Aelia. "Aelia" is the name that the Roman Emperor Hadrian had given to Jerusalem after the end of the Bar Kokhba rebellion. "Canon VII: Since custom and ancient tradition require that the bishop of Aelia be held in veneration, let him have the next degree of honor to the metropolitan [the bishop of Caesarea], without prejudice to the appropriate authority of the latter." (15) Jerusalem had her name taken away, and she was placed in subjection to the church that had embraced Origen. Constantine and Eusebius institutionalized many serious errors. They made changes that were to plunge the Church and the world into a literal thousand years of darkness. They laid a different foundation than Yeshua and His ambassadors had laid. A new era in the history of his followers had begun. In actuality, a new Church had begun. Constantine sought bones and buildings as the focus of worship. Worship that focused on a building naturally neglected the weightier provisions of the law: justice and mercy and faithfulness. Those are indispensable parts of the worship that God seeks. In the new order, worship gained a form, an appearance, without life, light, or service. Yeshua had said, those who worship God must worship in spirit and truth. It was not the building, but the people. It was not the city, but the Spirit. Constantine built buildings which were called churches, and people who did not know the Lord began to fill them. They "went to church," but they did not seek to be disciples of Messiah. Rome was to become the new "holy city," geographically defining and confining worship. In many ways, Constantine laid the new foundation for the new Church. To this day, the Church bears his image. That is what he intended. 3. A leadership that has acted as lord and not as servant. 1. "A Historical View of the Council of Nice," Isaac Boyle, The Ecclesiastical History of Eusebius Pamphilus, translated by Christian Frederick Cruse, Baker Book House, Grand Rapids, 1989, Pp.9-10 of section following the ecclesiastical history. 2. ibid., P.16, quoting Theodoret, I.7. 3. Les Juifs dan l'empire romain I, Paris 1914, P.308ff, quoted in "A Note on the Quartodecimans," C.W. Dugmore, Studia Patristica, Vol. IV, Berlin, 1961, P.412. 4. The Ecclesiastical History of Eusebius Pamphilus, op. cit., Bk. 5, Ch. 23, P.207. 5. ibid., Bk.5, Ch.24, Pp.208-209. 6. ibid., Bk. 5, Ch. 24, Pp.210-211. 7. ibid., Bk.4 , Ch.14, P.141. 8. ibid., Pp.51-54, following the ecclesiastical history. 9. ibid., "A Historical View of the Council of Nice," Isaac Boyle, P.27. 10. H.A. Drake, In Praise of Constantine, A Historical Study and New Translation of Eusebius’ Tricennial Orations, op. cit., P. 8. 11. The Ecclesiastical History of Eusebius Pamphilus, op. cit., "A Historical View of the Council of Nice," Isaac Boyle, Pp.22-23. 13. ibid., P.51, following the ecclesiastical history. 14. “For even if you yourselves have ever met with some so-called Christians, who yet do not acknowledge this, but even dare to blaspheme the God of Abraham, and the God of Isaac, and the God of Jacob. . . . But I, and all other entirely orthodox Christians, know that there will be a resurrection of the flesh, and also a thousand years in a Jerusalem built up and adorned and enlarged, as the prophets Ezekiel and Isaiah, and all the rest, acknowledge.’” Justin Martyr, The Dialogue with Trypho, translated by A. Lukyn Williams, S.P.C.K., London, 1930, P.169, Sec. 80.1-5. 15. Ecclesiastical History, P. 56, following the ecclesiastical history. 16. J. Stevenson, A New Eusebius, P.395, quoted in The Search for the Twelve Apostles, William Steuart McBirnie, Tyndale House, Wheaton, IL., 1977, P.19. 17. John Holland Smith, Constantine the Great, Pp.301-302, quoted in The Search for the Twelve Apostles, William Steuart McBirnie, Pp.19-20. 18. The Search for the Twelve Apostles, P. 20. Daniel's complete Anti-Semitism series may be read in its original form at http://elijahnet.net. However, those studies that appear in The Shofar are the most updated as Daniel updated them after many years specifically for The Shofar. Links to all of Daniel's articles that appear in Shofar editions may be found in our Library.